You likely already know the importance of protein in a balanced diet. It plays a vital role in everything from building muscle to maintaining a healthy weight. When it comes to dietary advice, protein is typically a central part of the discussion, but an important part of the subject that’s often overlooked is that fact that animals (like chicken or fish) aren’t the only source of this essential nutrient. Yes, quality protein can come from plant sources, and according to Dr. Wendy Bazilian, DrPH, R.D., nutrition consultant and co-founder of Bazilian’s Health in San Diego, plant proteins have an incredible amount of value to offer and they fit into all different types of diets. We caught up with Bazilian to find out the truth about plant-based proteins and how to effectively and easily incorporate them into a well-balanced plan for healthy eating. The Active Times: In your opinion, what are some of the biggest misconceptions about plant-based proteins? Dr. Wendy Bazilian: In general, people still tend to be confused about what plant-proteins are, whether they’re high quality and how to consume them. Many people associate plant-proteins with a ‘vegetarian’ diet or think they are for people who are vegetarian or vegan and thus who "don’t eat meat," instead of as a good option to incorporate into anyone’s diet (whether you also eat fish, poultry, meat, eggs and dairy or not). There is still a misconception that plant-proteins are lower quality or not ‘complete’ and this is due in part to the fact that some plant-proteins are ‘limiting’ in one of the amino acids (AA). However, other plant-proteins make up for that by what they have (and may also be limiting in one amino acid—meaning ‘lower’ in that one) and that over the course of the whole day, they all complete each other. So, when you eat beans and grains together or simply have them both over the course of the day, they "complete" each other. Protein doesn’t make muscle—amino acids are the building blocks—as long as they are all there circulating around and ready, the body knows the recipe, it knows what to do. What types of plant-based proteins, if any, are "complete" sources of protein, that offer all nine of the essential amino acids? Some quality complete proteins in the plant kingdom include soybeans (edamame, tempeh, tofu), quinoa, hempseed and seitan. Seitan is actually a very old (thousands of years) "recipe" that probably came from China. It’s wheat gluten cooked in a soy-based stock and the end result is a ‘meat substitute’ protein source that is complete because the limiting amino acid in the wheat gluten is completed by the soy contribution (legume). It’s true that animal proteins do tend to have higher amounts of protein per weight and high-quality protein in a smaller package, but they also tend to have higher saturated fats, potentially higher calories in some instances and they lack the phytochemicals (plant nutrients) like antioxidants, fiber, vitamins and minerals that come only from or are primarily found in plants. It’s the complete package in a plant-protein that adds the value, they have protein, fiber (which is not found in animal proteins) phytonutrients, vitamins and minerals, water, a lower amount of unhealthy fats, and a higher amount of healthy fats. What food combos are best for creating a “complete” protein package? The classic example to create complete proteins in the plant-kingdom is combining legumes and grains together (or having them both at some point during the day can achieve the same thing). 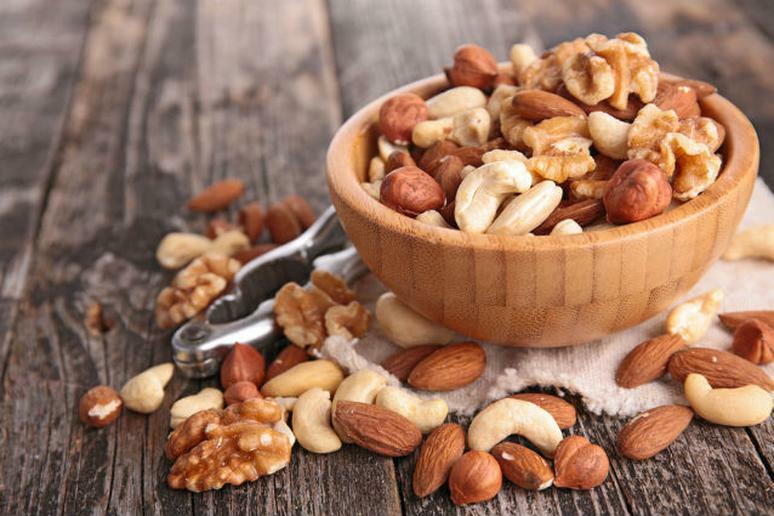 Nuts and seeds also offer a good quality protein source and are similar to grains in terms of their limiting AA, so pair them up with legumes (beans) for a complete protein. And it all adds up with those plant-proteins, for good health. What about when it comes to building muscle mass, do plant proteins offer the same benefits? Plant-proteins can provide every bit as much to the body for muscle-building. Plus, the antioxidants/phytochemicals may even help more in some ways (compared to animal proteins that don’t have them) by helping prevent and repair oxidative stress in the body from exercise and offering anti-inflammatory effects post exercise. Beans, nuts, seeds and whole grains all offer plant-protein—they all "contribute," and even though it may not look like any one of them has as much as an animal protein, it’s remarkable how they really all add up. And if you do consume some dairy, eggs or even animal proteins, then those additions also make it almost impossible not to get all you need by way of complete protein and the total amount for the day (and then some) if you try for a nutritious diet, even a little. Both animal and plant sources preserve lean muscle mass, which also leads to increased strength when exercised and challenged according to research. The study also suggested that it may be the alkaline properties in the plants that help preserve muscle strength. Preserving muscle mass and strength could help potentially reduce fall risk with aging, too. The researchers said that more research is needed to see the impact of plant proteins and that eating more plant-protein may also be a sign that the overall diet is healthier, which may be part of the explanation for why muscle strength was higher in the higher plant-protein eaters. What are the benefits of plant-based proteins compared to proteins that come from animal sources? First of all, a quality plant-based diet (which doesn’t necessarily mean ‘meat-free’ unless you make that your personal choice) has been associated with lower risk of heart disease, diabetes, certain cancers, weight management and lower mortality risk among others. Plant foods contain many things: carbs, fats, protein, fiber and a host of phytonutrients, vitamins and mineral. When it comes to plant-proteins, you get protein along with fiber and those plant nutrients (technically called phytochemicals) that have been associated with helping preserve, repair, neutralize and eliminate cellular damage in the body. They offer anti-inflammatory effects (inflammation is a risk factor for a host of conditions and complications related to disease from joint issues, arthritis and diabetes to obesity, Alzheimer’s and more). You also usually get more volume and more nutrition for fewer calories. And what you "don’t get" is important too—plant-proteins are low in saturated fat and contain no cholesterol. Finally—connecting back to the above—plant-proteins as part of a quality ‘plant-based diet’ overall have been associated more broadly with a range of benefits to health and wellness: reducing disease risk, promoting health, maximizing recovery, maintaining a healthy immune system and helping maintain muscle mass. What are some easy and creative ways that to incorporate more plant-based proteins into a typical diet? Make one meal (or one day) a focus on plant-proteins (meat-free day) and try traditional combos. Add a plant protein to a smoothie or oatmeal, such as pea protein or sprouted brown rice protein or hemp protein. Have a soup and/or salad every day and add beans, nuts and/or whole grains to them. Make a veggie burger with beans and grains, or beans and mushrooms and walnuts, and serve it on a whole grain bun. Have snacks that include nuts and seeds; pita and hummus. Have desserts that feature grains and nuts, like a berry crumble with oats and nuts topping. Make stir-fries and add edamame.